The EVO screens meet the highest safety and ergonomic requirements. An environmentally friendly drive via an external power supply is available as an option. 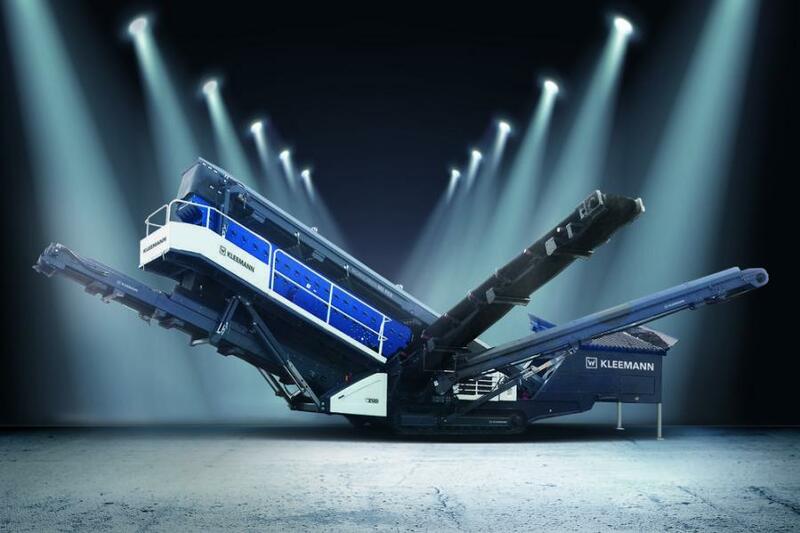 At the start of 2019, Kleemann was awarded two international design prizes: the iF DESIGN AWARD and the GOOD DESIGN Award for the jaw crusher MOBICAT MC 120 Z PRO and the screening plants of the EVO line. The GOOD DESIGN Award presented in January is an industrial design program organized once a year by the Chicago Athenaeum Museum for Architecture and Design in co-operation with the European Center for Architecture, Art Design and Urban Studies. Industrial products characterized by a particularly innovative and well-conceived design are nominated. The Kleemann plants also convinced this jury. 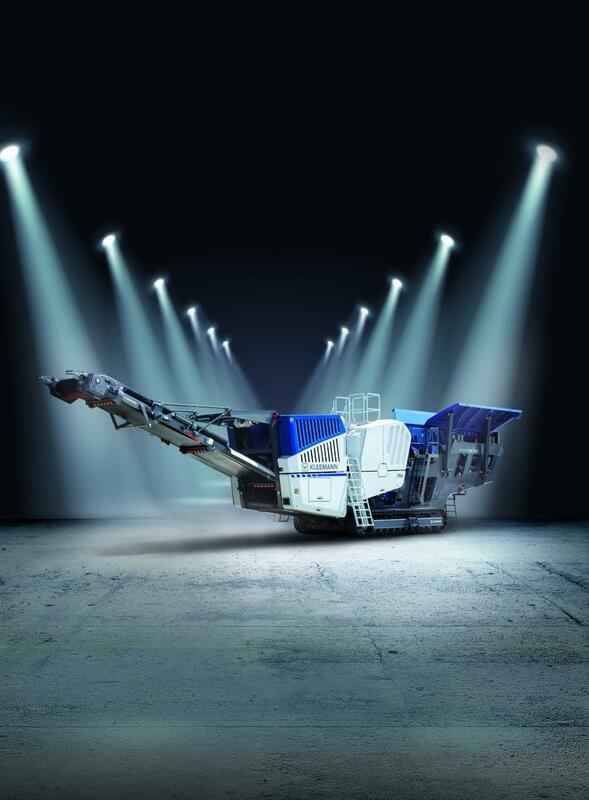 The mobile jaw crusher MC 120 Z PRO is characterized by its uncompromising and robust design. It crushes stone at a rate of up to 716.5 tons (650 t) per hour with a maximum grain size of 43 by 27.5 in. (1,100 by 700 mm). The plant has a powerful and efficient diesel-electric drive. The crusher, conveyor belts, screens and chutes are driven electrically. For even more environmentally sound operation, an external power supply is possible as an option. The plant is controlled at a 12-in. (30.5 cm) touch panel by means of the SPECTIVE control concept. This permits, for example, the adaptation of the crushing gap to a new application with only a few commands. The operator is guided through the menu step by step. Operating errors are thus avoided and productivity is increased. The well-arranged design of the machine follows the course of the material flow and permits easy access from all sides. Despite its size with a maximum weight of 91.5 tons (83 t), the plant can be transported in one piece. The new MOBISCREEN EVO plant line MS 702/703 and MS 952/953 is characterized by its high output, high flexibility, excellent transportation properties and short set-up times. Its intelligent operator panel makes intuitive and simple operation possible. The simplified screen change meets the highest safety and ergonomic requirements. An environmentally friendly drive via an external power supply is available as an option. The design visualizes the functionality in a clearly structured appearance. "The challenge is to adapt the machine to human requirements and not vice versa. We are very pleased that we succeeded in doing this with the MOBICAT jaw crusher and the EVO screening plants," said Volker Nilles, managing director of Kleemann GmbH. For more information, visit www.kleemann.info.